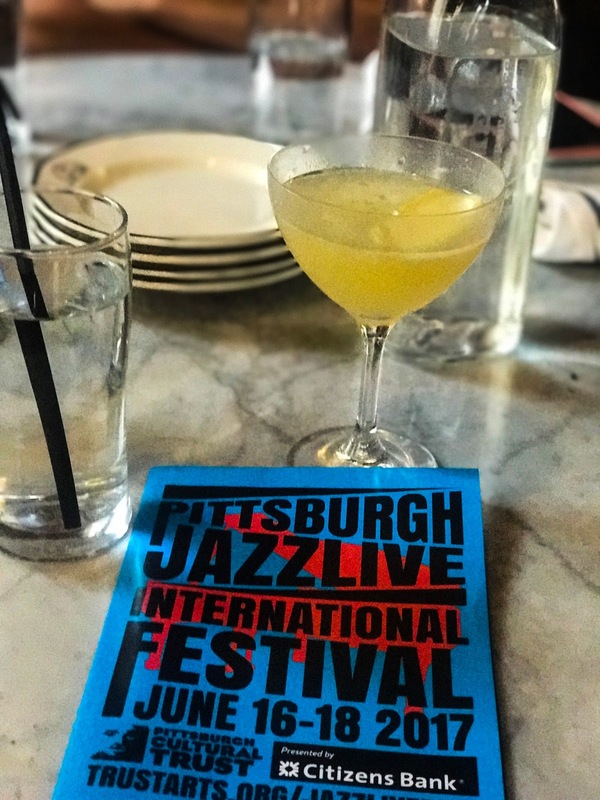 Keeping with the Pittsburgh events this week, I'm sharing my time at the Pittsburgh Jazzlive International Festival last weekend, held throughout the Cultural District in downtown Pittsburgh. They had a packed weekend full of performances by local, national, and international groups. I stopped by on the first night, when they had free performances happening all night at different spots downtown. A friend's husband actually plays in a jazz band, so we wanted to go hear him perform! After listening to the band for a while, we were all starving, since we had come right from work. Since we were nearby, we decided to see if we could snag a table at Meat & Potatoes, one of my favorite restaurants. Usually you need to make a reservation at least a week in advance, but somehow, there was a table for us and they sat us in 10 minutes. I had a delicious meal of bone marrow and mushroom risotto, and went home quite happy! 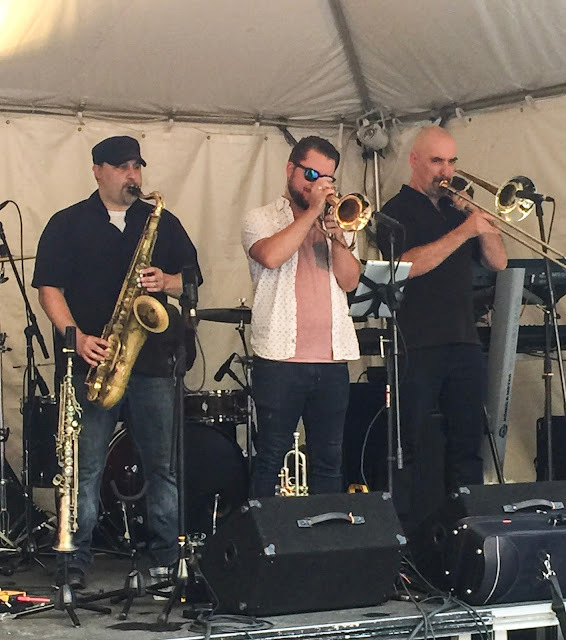 It was a great night of live music, good food, and friends, and I always love hanging out in the Cultural District because there's always something going on!